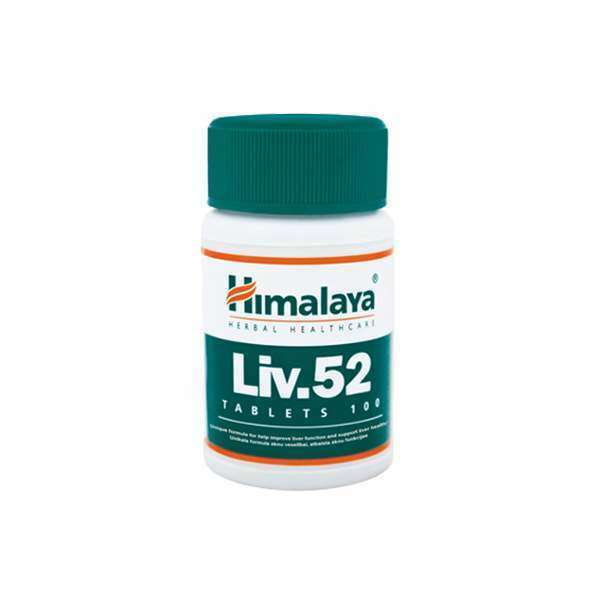 Liv.52 of Himalaya is a natural formula made of herbal extracts whose function is to support the hepatic system. Liv.52 follows the Ayurvedic philosophy, which is traditional in India and does not contain any chemical medicine or derived, only what nature offers. Cichorium intybus is the famous chicory, a thick grass upright and growing popularly nurtured in Australia, Europe and North America, with important properties such as: anti-inflammatory (it can reduce liver inflammation in case of hepatitis), cholagogue action (facilitates the emptying of bile contained in the gallbladder) and hepatoprotective. It has been used as a good source of blood liver and purification, as it increases calcium absorption in the body and it may decrease skin inflammation. It can also be used to treat gallbladder stones, and bladder and liver diseases. Chicory is highly valued for its positive effect on the digestive system, especially the liver, and its components rich in vitamins like B, C and K.
Bhasma Mandur, also known as ferric oxide Calx, and is obtained by calcining iron oxide and further purification process. It is recommended for a large number of conditions such as kidney problems, enlarged spleen, dyspepsia (digestive disorder), anaemia, edema associated with liver problems, chlorosis, intestinal worms, liver and spleen, amenorrhea, albuminuria, chronic intestinal problems, and jaundice. Black Belladonna is one of the most popular wild plants and growing-abundant worldwide. It has different alkaloids that help us keep skin, bladder, liver and kidney in good conditions. This plant can also be used as a diuretic, laxative, emollient and antiseptic. It could also be effective in cases of liver cirrhosis. Arjuna tree contains a lot of Co-enzyme Q-10, so it offers important cardioprotective properties. It also provides a good prognosis for people with liver cirrhosis and improves nervousness and other forms of stress, reduces cholesterol, urinary tract problems, helps the digestive system maintenance, and offers hepatoprotective action. Cassia seeds are used for disease prevention. It has antiseptic properties and it inhibits the growth of fungi, exerts a purgative function and is also useful as a diuretic. Yarrow is a very popular plant for its ability to treat disease, as it has anti-inflammatory, diuretic and digestive properties. It is recommended for conditions related to the gastrointestinal tract and dyspeptic disorders, including mild spasms and bleeding treatment, both internal and external. Tamarix gallica has an alkaloid called Tamarixin used to increase the number of platelets in the body and to treat problems related to liver failure. It is used as a diuretic and tonic. Liv.52 includes elements that keep our gastrointestinal, urinary, and hepatic system in optimal conditions. Through a daily intake Liv.52 helps in the work of hepatic clearance. The liver is an important organ that acts filtering many substances and prevents our body from receiving and absorbing toxic impurities. Liv.52 optimizes liver function, protects the liver parenchyma and supports regeneration of liver cells by regulating the levels of enzymes that participate in metabolic processes. Liv.52 acts to neutralize external toxins, such as alcohol, or air pollution. These processes are continuous throughout our lives - therefore supporting this vital organ with external aids such as Liv.52 can be a very beneficial to improve our overall health. Take 1 or 2 tablets twice or three times a day with meals.